Do you have information or memories of the Macedonia Cemetery and those buried there or its church, members, and pastors? 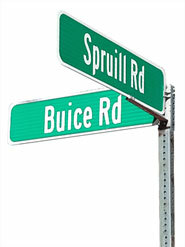 Why are roads, schools, libraries, and parks named Buice, Spruill, Autrey, Taylor, Morton, Jones, Medlock, Rogers, Findley, etc? 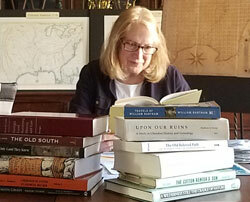 In addition to regular scheduled meetings, there will be opportunities to join others in exploring historic resources in the area and in researching inhabitants and life in the Johns Creek area during earlier times. PROJECT: Collecting Oral Histories of those who remember or have family stories about life in this area in earlier times. We want to capture the memories of those who have lived in the Johns Creek area during its rural past or who are descendents of some of the earlier farm families. Please contact us at info@johnscreekhistory.org if interested in being part of our Oral History project. Help us create a record of the past for future generations. PROJECT: Researching families who lived in the Johns Creek area during the period of 1820 through the 1950s. Names of families that lived in and farmed this area may be familiar as road, library, park, and school names or as seen on local cemetery markers. This is not a complete list, but are some of the larger landowners during a period of about 140 years. Land in the Johns Creek area changed hands over those years influenced by the removal of the Cherokee, the Civil War, the Great Depression, and industrialization, among other factors. Some of the early residents we are interested in researching.